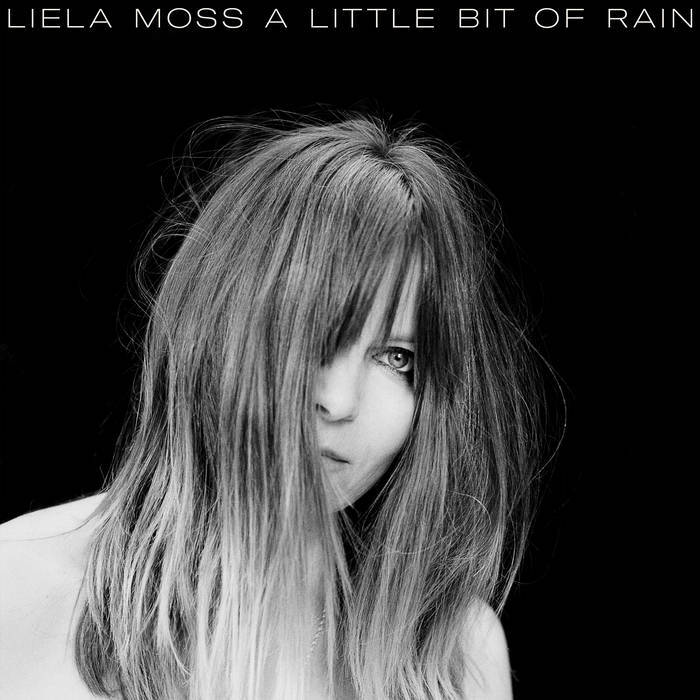 Following on from her debut solo album ‘My Name Is Safe In your Mouth’ in November last year Liela Moss releases an excellent new EP of cover versions, with each song sharing the theme of rain and its various connections to the emotions. 1. Here Comes The Rain Again The most well-known track on the EP, a major hit for Eurythmics in 1984 and was always one of their more enigmatic mainstream works. This new version explores the darker side with sparse distant keyboards surging into lush strings and dense instrumental textures as the vocal turns the emotions inside out. At times the multi-tracked voices echo through the track like a stormy wind that accompanies the rain. 2. I Can’t Stand The Rain Soul classic written and recorded by Ann Peebles in 1973 and then made a bigger hit in an electro-disco version by Eruption in 1978, Liela has focussed on the power of the simple lyric of reminders of loss and regret, while the music has a percussive urgency as a strange repeating note fades in and out. 3. It’s Raining Today With the death this week of Scott Walker this track (from his 1969 LP ‘Scott 3’) has additional poignancy and prominence but it was always going to be the standout cover on this collection. Starting with a gentle, thoughtful vocal it is at times a sweeping big ballad but still retaining an emotional intimacy, helped by lyrics such as ‘….it’s raining today, but once there was summer and you….those moments descend on my windowpane…’. A full orchestral sound is unleashed in the second half of the song, with a show-stopping performance from Liela. 4. Prayers For Rain The original 1989 Cure song was described as ‘an evocative, wounding portrayal of emotional desolation. Water serves as a metaphor for the feeling of hope and enthusiasm toward life’. A bold choice to include on the EP, and with lines like ‘…infectious sense of hopelessness and prayers for rain, I suffocate, I breathe in dirt and nowhere shines but desolate and drab…’ this could be quite a challenge. The resulting cover is bleakly powerful and satisfying, maintaining a pace and relentless stately energy through the song, with the band allowing plenty of space for the vocal to cut through. This entry was posted in Music and tagged Ann Peebles, Cure, EP, Eurythmics, Liela Moss, Rain, review, Scott Walker on March 29, 2019 by iknoweno.